Plot Bidding Right for the Soccer Cluster. This early access Bidding Right enables you to bid for your own real estate plot in a generic Sector of the Soccer Cluster Pila of MATERIA.ONE. Bid for a real estate plot before the public bidding begins. 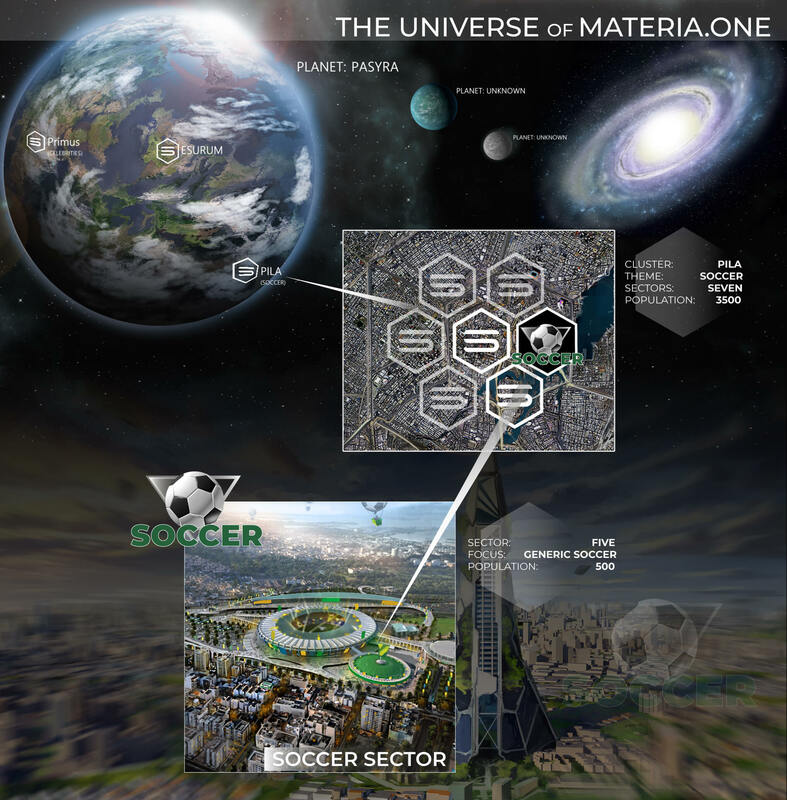 The plots will be in a generic Sector in the Soccer Cluster Pila on our first planet, Pasyra. Limited to 1 item per user! Only 191 left in stock! The location will be on MATERIA.ONE's first planet Pasyra, which contains a variety of city clusters. Every cluster has a different theme and is divided into sub-sectors containing space for 500 users each. Some of these Sectors are dedicated to certain stars, where they will also own their own personal plots as well.